The ‘specious present’ is a term applied by the philosopher and psychologist William James to that short duration of time the human mind appears to be able to experience, which exists between past and future and which is longer than the singular moment of the actual present. James developed the concept to tackle the problem of the perception of time, which is the only dimension that cannot be grasped by the senses. 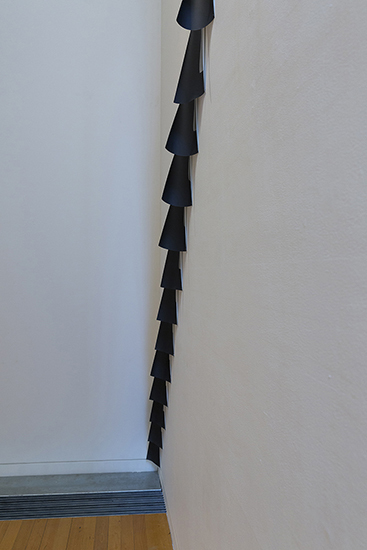 The Specious Present was an exhibition that addressed the conundrum of representing time. 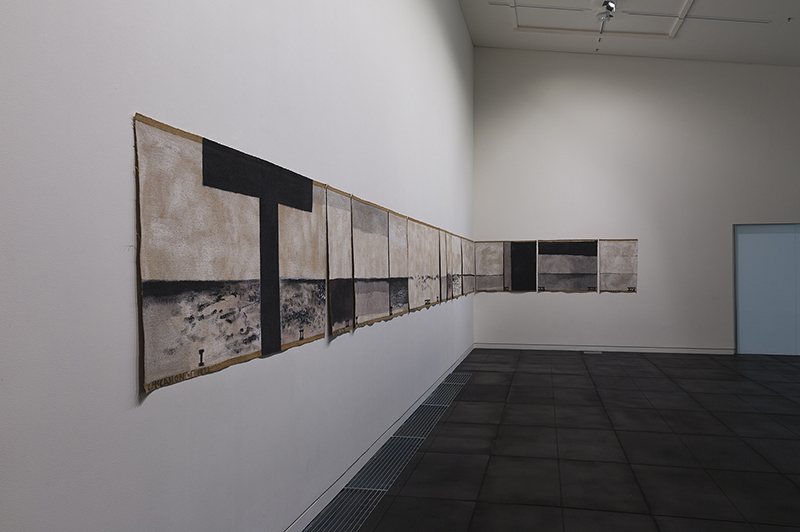 It brought together four visual artists whose works can be read through the lens of James’ philosophical concept. 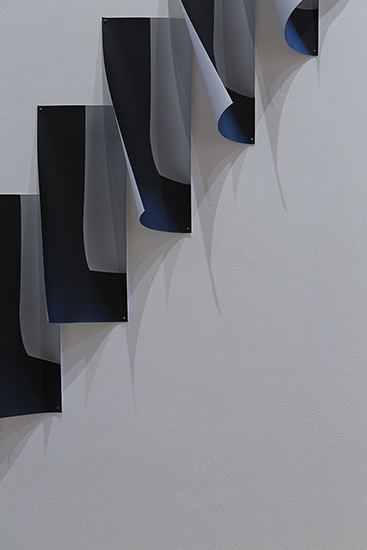 Employing moving and still imagery, sculpture and painting, they offer visual and material propositions that suspend time, rendering it tangible as both an idea and an experience. 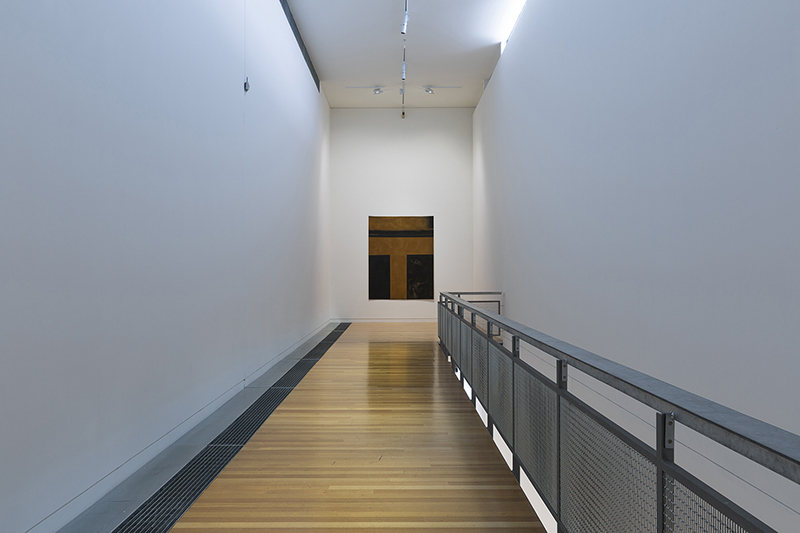 The show began with two major works by Colin McCahon (1919–1987): The Days and Nights in the Wilderness Showing the Constant Flow of Light Passing into a Dark Landscape (1971, Govett-Brewster Art Gallery, New Plymouth) and Walk (Series C) (1973, Te Papa Tongarewa Museum of New Zealand, Wellington), which required the viewer to switch their attention between different temporal dimensions: past and present, historical and mythic, sequential and experiential. 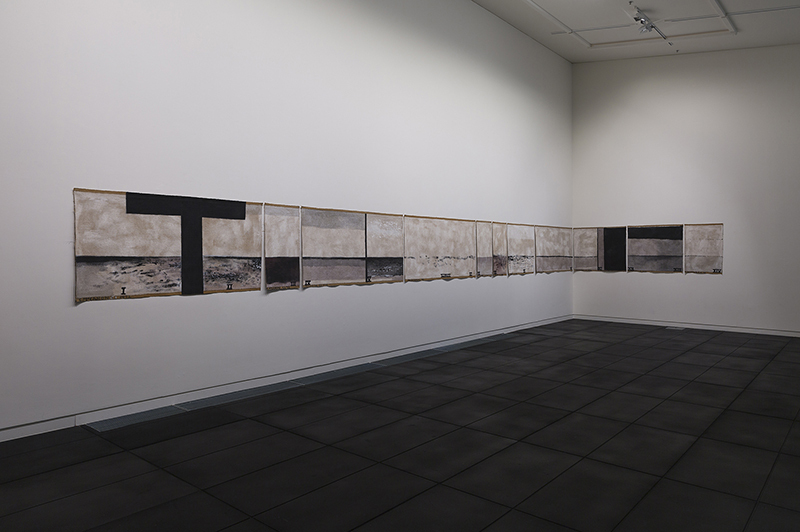 The elegiac tone of McCahon’s Walk (Series C), painted to commemorate the death of his friend James K. Baxter, is contrasted by the anticipatory pathos of British artist, Keith Tyson’s video: Art-Machine Iteration: Angelmaker Part 1: 15 Seconds Prior to Apocalypse, 100 Views, (1996-8, Zabludowicz Collection, London). 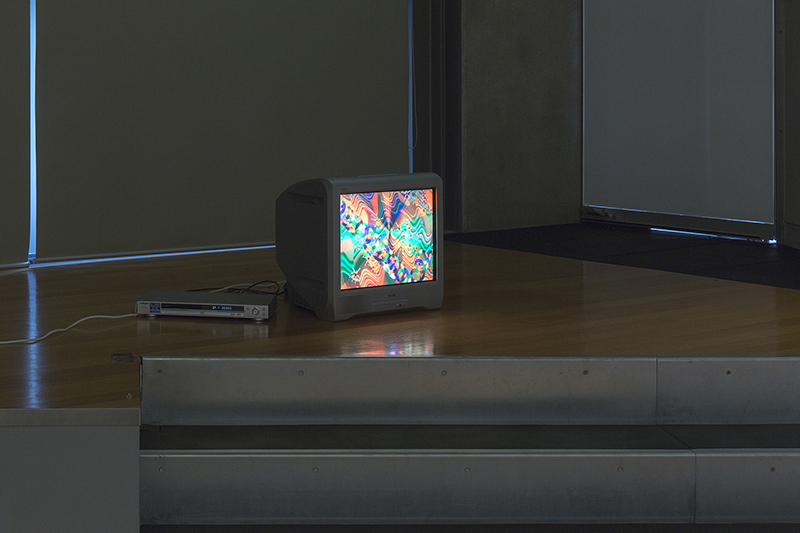 This is part of a large body of work Tyson produced on the instructions of his ‘Art-Machine’, a computer of sorts he invented when he was still at art school in the late 1980s that allowed him to side-step and yet reflect upon the processes of creative decision-making. Keith Tyson (born 1969, United Kingdom) is highly regarded for his drawings, paintings, sculptures, performances and installations. He has exhibited widely including winning the Turner Prize in 2002. 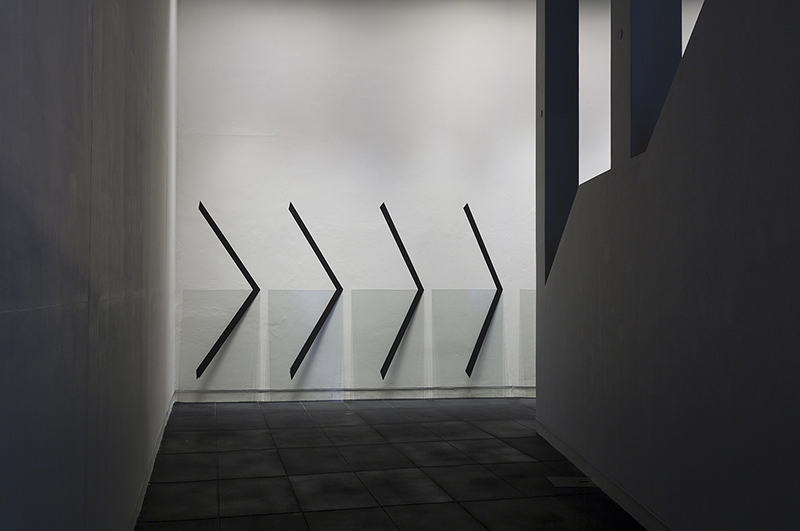 He is represented by Pace Gallery (London and New York) and David Risley Gallery (Copenhagen). 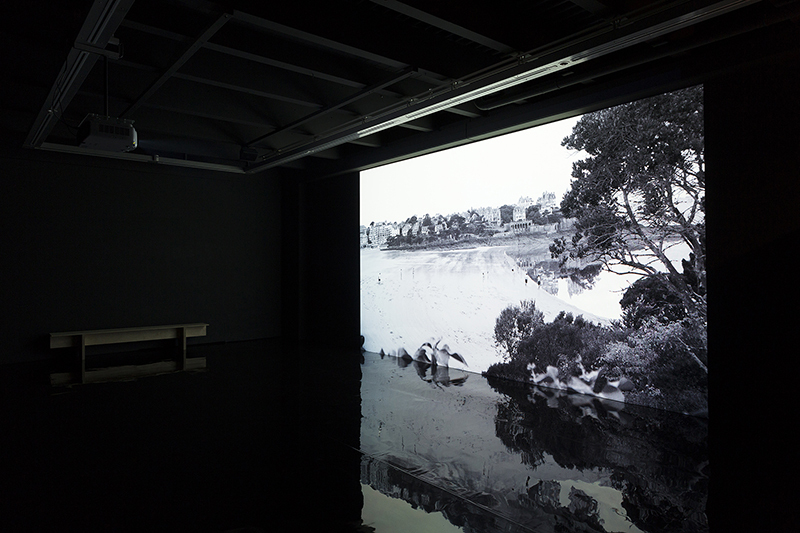 The Kirk Gallery was specially fitted out to present The Quiet Shore (2011) by David Claerbout, a 32-minute silent single-channel video projection. This takes a moment in time—a beach scene in northern France—and shows viewers the exact same scene from myriad different perspectives. 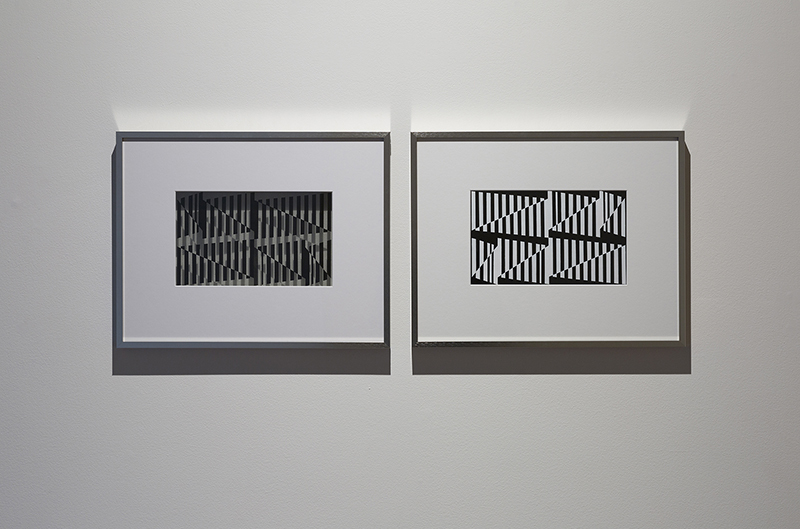 Utilising digital technology to scrutinise the instantaneous nature of the photographic image, Claerbout invites viewers to imagine they are seeing infinity in a single moment. David Claerbout (born 1969, Belgium) has been described as one of the most significant artists of the new century. 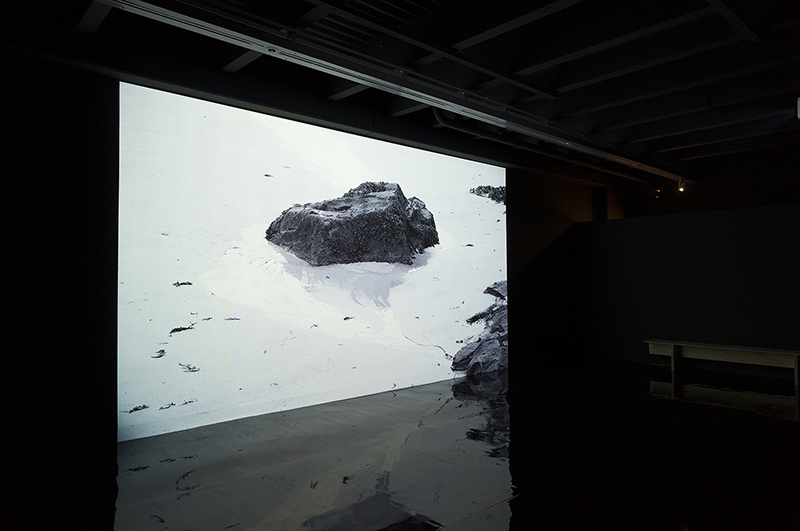 Based in Antwerp and Berlin, he is well known for his photo-based stills, projections and installations that have been presented in group and solo exhibitions throughout Europe, the USA and Australasia. He is represented by Micheline Szwajcer, Brussels; Sean Kelly, New York; and Untilthen, Paris. 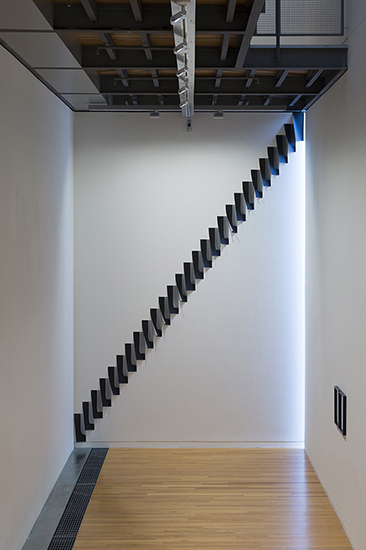 Auckland-based artist, Andrew Beck presented a new body of work commissioned especially for this exhibition and for the Adam’s challenging architectural spaces. 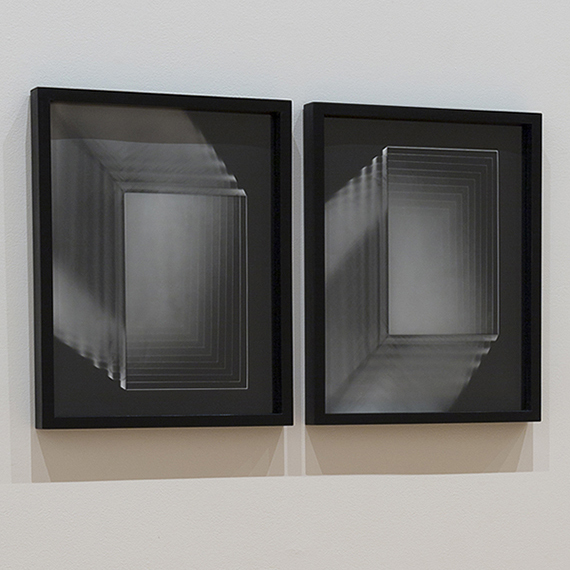 Beck’s subject is the interplay between light, time and space. He plays with the image of things and the things themselves, carefully placing his two and three-dimensional works into physical space to tease out real and represented time, past and present moments. 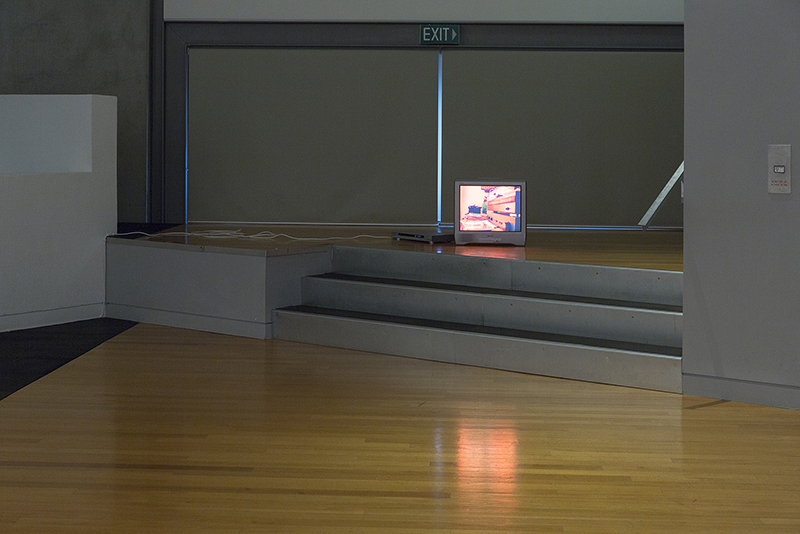 Beck (born 1987) graduated in 2010 with a MFA from Whiti o Rehua School of Art, Massey University Wellington. 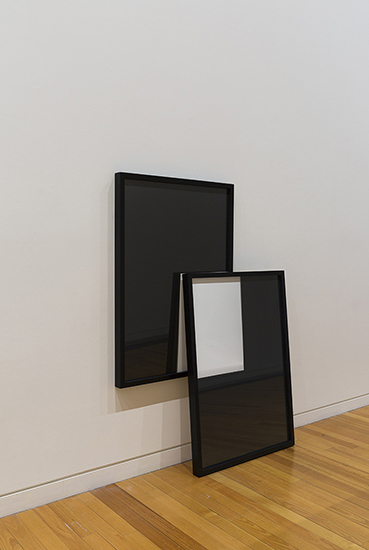 Although he has been included in solo and group exhibitions in Wellington, Auckland, Christchurch, Cologne, Paris and Berlin, this is his first major inclusion in a public institution. 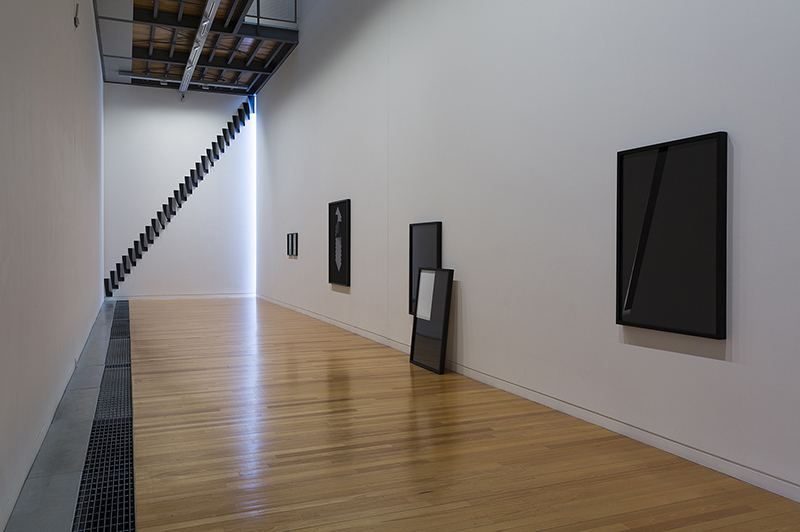 Beck is represented by Hamish McKay (Wellington) and Luis Campaña Gallery (Berlin). 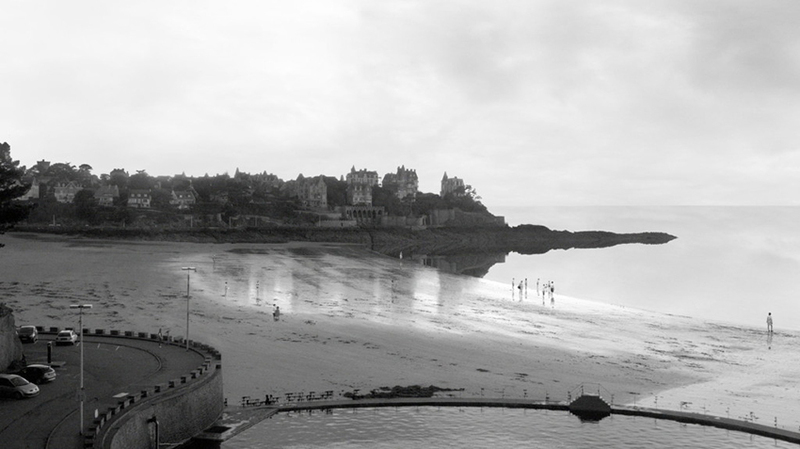 Andrew Beck spoke about his work in the exhibition at 12pm on Sunday 12 July. For a list of the full public programme click here. 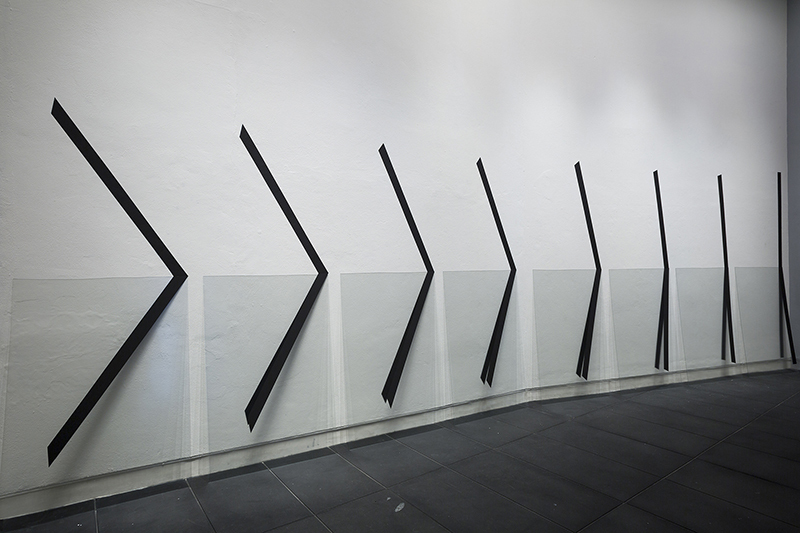 In addition to the work of the four artists in The Specious Present, TIMEX (2015) a sound work by Hummel was composed as a sonic response to the concept of the show. This was present in the exhibition. Hummel is a sound-designer, composer and musician. 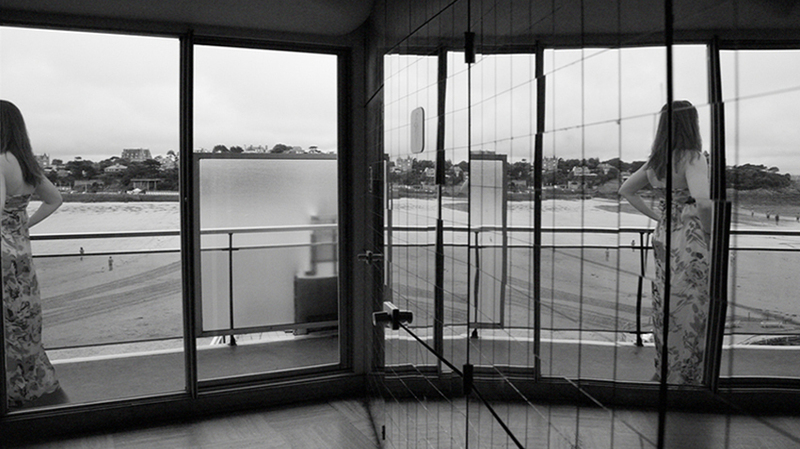 His soundscape and soundtrack practice explores computer-based manipulation and treatment of field-recordings, found-sound snippets and atmospheres. 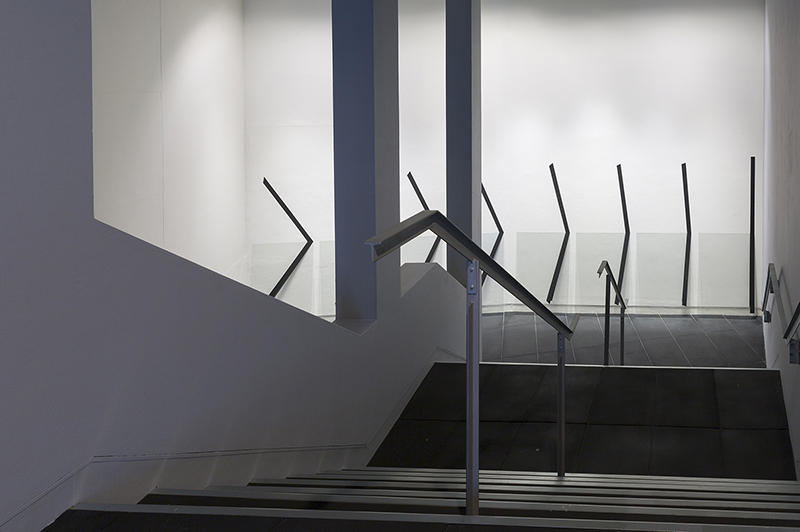 Previous work encompasses interactive displays, digital theatre, live audio collage and installation; including a temporary multichannel response to Peter Robinson’s installation Snow Ball Blind Time (2008, Govett-Brewster Art Gallery). Under other monikers he extends into a mishmash of post rock, downbeat glitch-click electronica and folk music performance. Click here to view The Specious Present public programmes. Click here for the press release about this exhibition. Click here to visit Andrew Beck’s website. Click here to visit David Claerbout’s website. 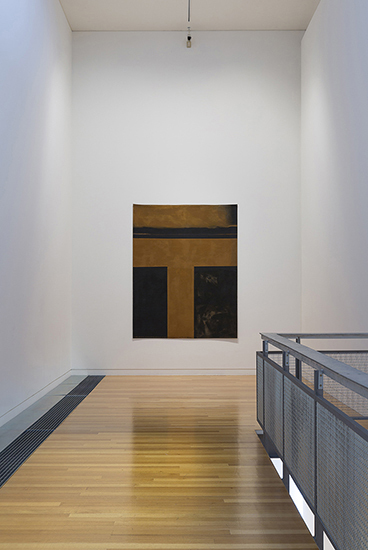 Click here to visit The Colin McCahon Online Catalogue. Click here to visit Keith Tyson’s website. Click here to listen to Hummel’s sonic response to The Specious Present.